Other information DUMPER VOLVO A40, AÑO FABRICACIÓN 1997, NEUMÁTICOS 70 %, PUERTA TRASERA Y ALZAD ORIGINALES DE VOLVO, MUY BUEN ESTADO. 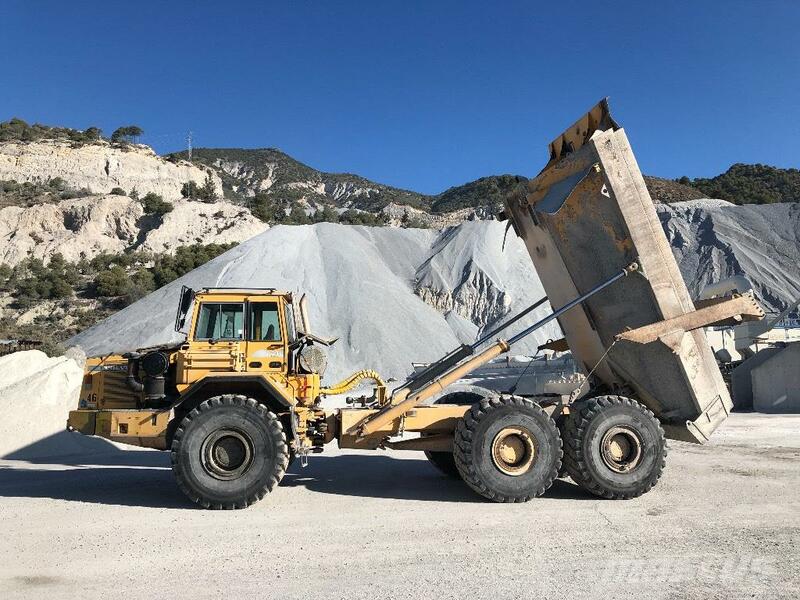 On Mascus UK you can find Volvo A 40 articulated Dump Truck (ADT). The price of this Volvo A 40 is - and it was produced in 1997. This machine is located in - Spain. On Mascus UK you can find Volvo A 40 and much more other models of articulated Dump Truck (ADT).